It doesn’t get any weirder than this. Construction for a new Tesco Express store is underway at Westbrook, less than half a mile, from the proposed superstore site at Arlington Margate. Signs state the store is scheduled for opening on February 24th 2012. 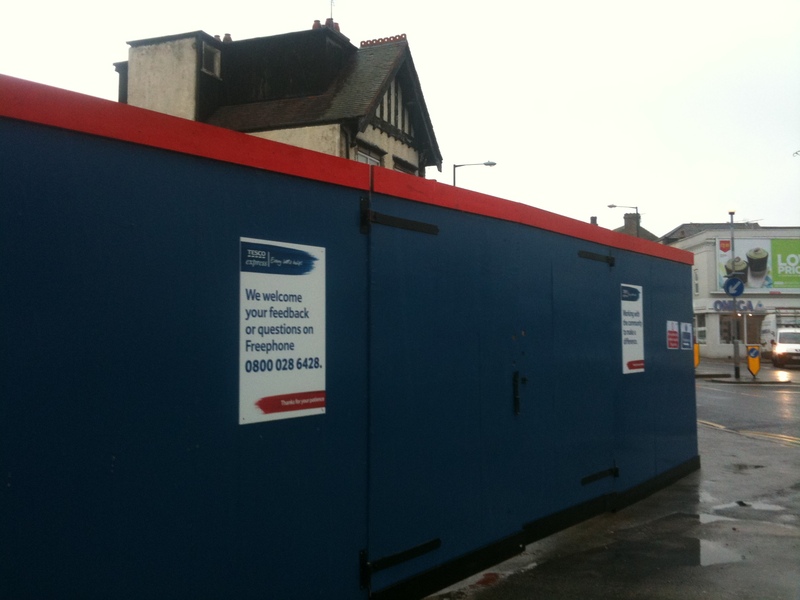 Hoardings are up, and work is underway. This is less than a 10 minute walk round the corner from the Arlington, effectively creating a Tesco sandwich of the independent shops at Westbrook along the A28, The Canterbury Road. 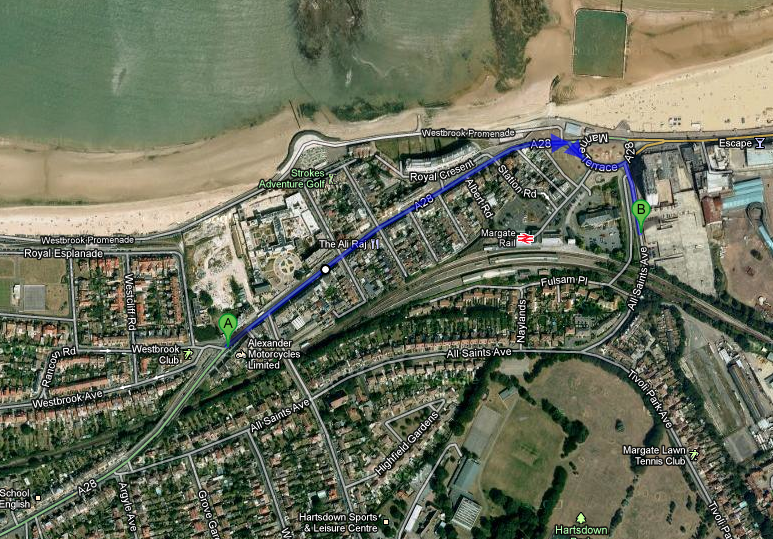 Address is 56 Canterbury Road, Margate. Planning Application TH/08/1286. Erection of three storey building containing A1 retail unit on ground floor, 8no self contained flats, and installation of ATM to front elevation and air conditioning units to the rear. 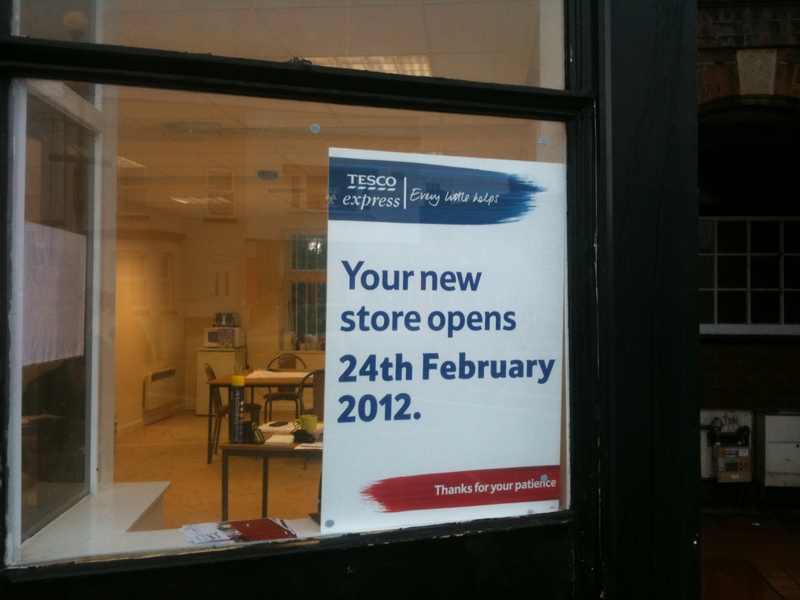 This entry was posted in Tesco by arlingtonhsmarg. Bookmark the permalink.